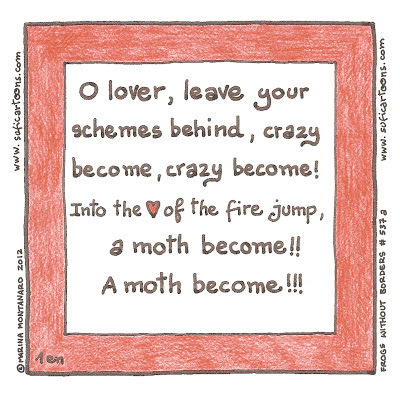 O lover leave your schemes behind, crazy become! Into the heart of the fire jump, a moth become!! 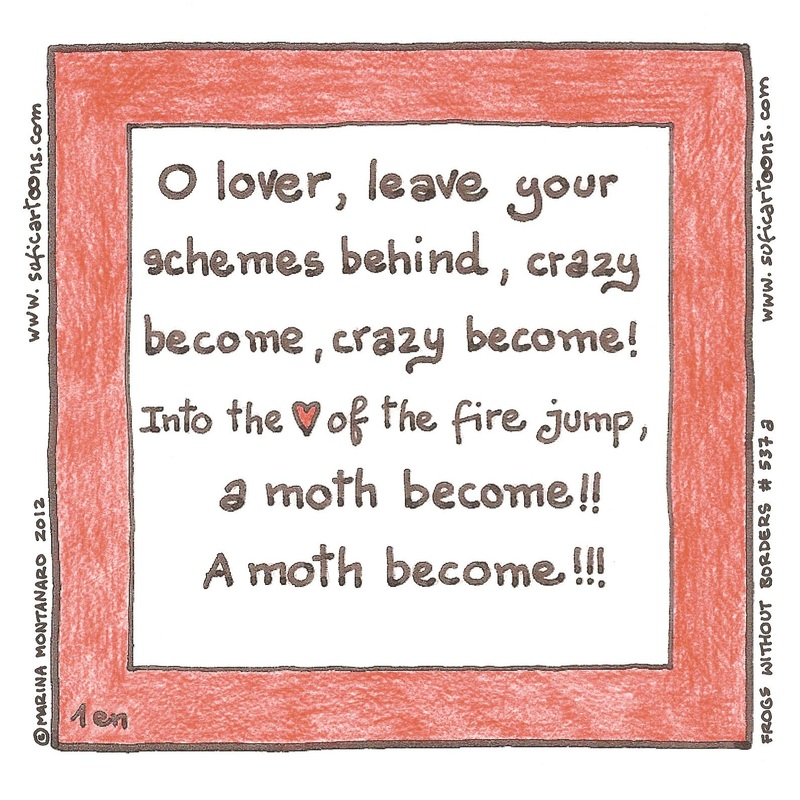 A moth become!! !